Back in November, we received a great letter of thanks from Mbusomuni Mahlalela; the National Director of the Swaziland Epilepsy Association. It gives me great pleasure to refer you to the subject above. The Swaziland Epilepsy Organization (SEO) under the patronage of HRH Prince Bandzile would like to express its deepest gratitude for all that you have done for the organization in general and in particular, People with Epilepsy in Swaziland. 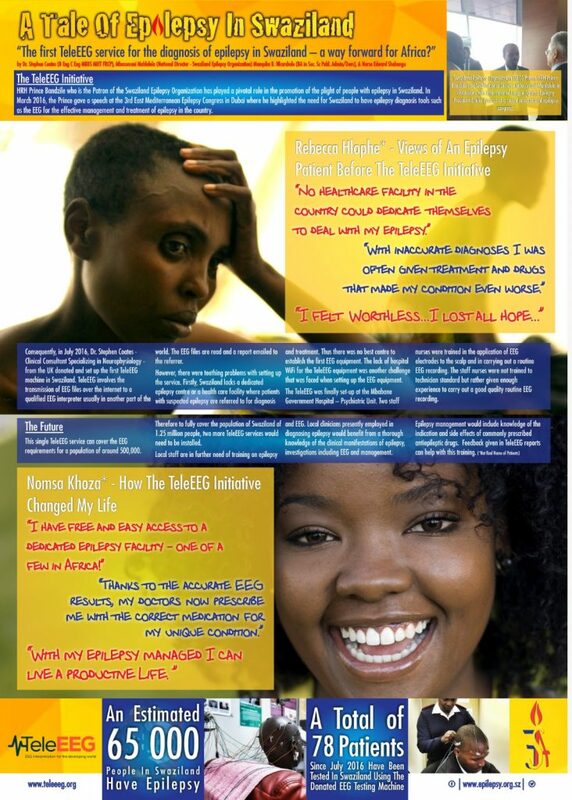 It all started when you were made aware of the plight of people with epilepsy in Swaziland through a speech presented by HRH Prince Bandzile in March 2016 during the 3rd East Mediterranean Epilepsy Congress in Dubai — to the effect that Swaziland lacks epilepsy diagnosis tools such as the EEG machine as well as the non-availability of medical professionals who can deal with the condition. 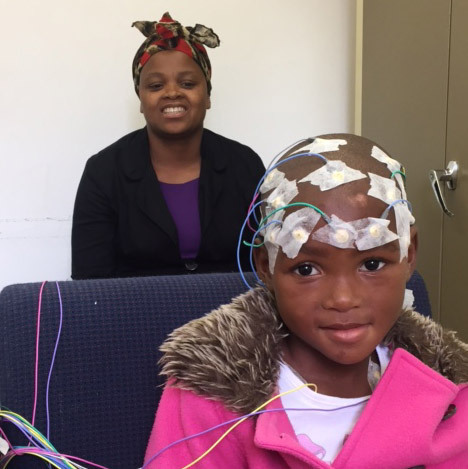 Subsequently, you took it upon yourself to change this unfortunate situation in Swaziland by offering to donate a TeIeEEG machine crucial for the diagnosis of epilepsy and further provide training to 2 local nurses on the basics of carrying out a good EEG recording. In July 2016, the SEO in cooperation with the Ministry of Health received the TeIeEEG machine donation from you which was set up in the Mbabane Government Hospital Psychiatric Unit. Since its establishment in July 2016, 78 patients have had EEGs carried out using the system. We thank you for dedicating your time and resources free of charge in setting up the TeIeEEG service in the country. Your act of kindness contribute directly to the National Development Strategy dubbed “Vision 2022”, serving as the overarching national framework that guides all socio-economic interventions which seek to advance the lives of the Swazi populace. Furthermore. the organization would like to express its gratitude for the all-expenses paid trip provided to the Chairman and the National Director – to attend the 12‘h European Congress on Epilepsy in Prague. Czech Republic in September. 2016. International C onferenccs are part of the organization‘s action plan and helps with capacity building of the staff in order to fulfil our vision of developing and promoting areas of intervention for effective treatment and social integration of people with epilepsy in Swaziland. Lastly. we thank you for sending Dr. Anne Clarke and her team to Swaziland with an aim of assessing the use of the TeleEEG machine and further train the 2 local nurses who are operating the TeleEEG on the technical expertise of applying the electrodes and reading the EEG recordings. We were pleased to welcome them. During their 7 days stay in the country they were able to attend to 18 patients who had their EEG carried out at the Mbabane Government Hospital. The SEC acknowledges the hours you donate freely to analyze and interpret the EEG recordings. Thank you for your continued support in the fight against epilepsy not only in Swaziland but in other countries as well such as Nepal. Myanmar. India. China. Laos. 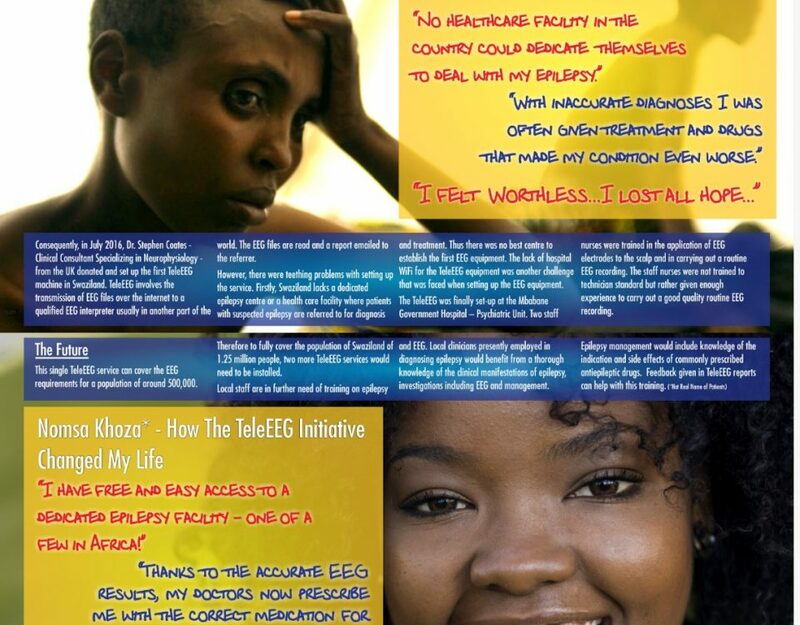 St Vincents and the Grenadines and the UK – where you carry out remote EEG reporting for clinics. We are truly grateful and we are forever indebted to you and your team of doctors. We are using cookies to give you the best experience on our website and to enable Clinics & Clinicians to effectively use this service. You can find out more about which cookies we are using or switch them off in settings.